One of the many aspects that I love about my girls' personalities are their wild, crazy and vivid imaginations. From a very young age, they have each been able to pretend and act-out all varieties of made-up play, and I have adored watching their creativity and theatrics come through time and time again. But as much as they can come up with tales and adventures completely on their own, nothing beats adding dress-up to the mix. As soon as there is clothing or a costume involved, the level of fun and excitement shoots up and, well, that's just what childhood is all about. 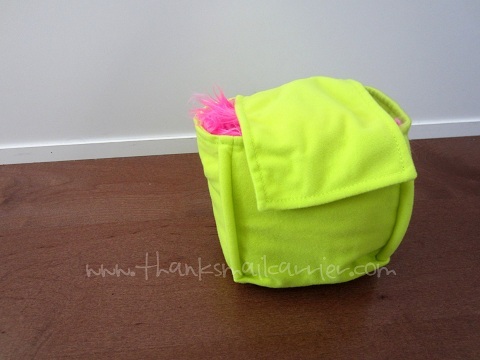 Therefore, as soon as I saw the bright colors, whimsical designs and endless possibilities that are found in Puppet Monsters, I knew that they would be an instant hit. New to the As Seen On TV line, Puppet Monsters are adorable, wearable stuffed toys with interchangeable parts. These fun, furry friends are available in six zany options and allow kids to dress up while simultaneously controlling a puppet. After browsing through the humorous options — Silly Dragon, Dizzy Antlers, Big Beak, Twinkley Eyes, Jumbo Eyes or Mr. Mustache — I was eager to see my kids' faces when Twinkley Eyes arrived. 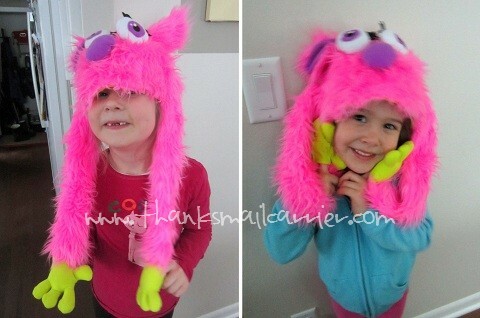 Arriving with her own interchangeable eyes, ears, nose, tail and arms (other Puppet Monsters include horns, beaks, feet and more), my girls were immediately drawn to Twinkley Eyes' bright pink fur and puffy yellow hands. Each piece is just so soft, furry and fun! But it wasn't until I picked her up and placed her on my own head that the uniqueness of this toy started to dawn on them. Turning over each of the hands revealed the small pockets for placing a finger... and that sealed it: they were both vying for a chance to wear Twinkley Eyes for themselves. The options with a Puppet Monster truly are endless, as it can be worn as part of dressing up, in a performance, as a surprise — the entertainment (non-TV or video game entertainment, that is) doesn't end! Both of my girls have proven especially fond of placing Twinkley Eyes on their head, putting their fingers inside of her hands, and then inching along the edge of a table, counter or piece of furniture to make it look like a friendly pink monster has come to say hello. While we currently only have the one Puppet Monster, I love that they are designed to become increasingly more fun as you bring home more monster friends and pieces. Each Puppet Monster has dozens of tiny holes on the inside to easily remove and attach new appendages or accessories. Simply slide the plastic tab out through the hole and replace with a new one! 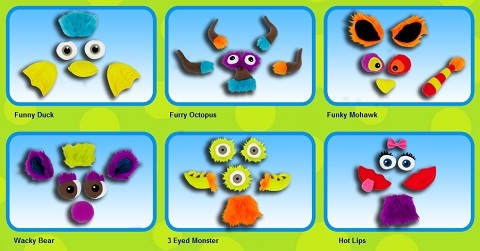 Not only could you interchange the pieces between Puppet Monsters, you can also purchase a separate Accessory Kit for even more opportunity for kids to mix, match and attach all sorts of crazy creations for one or multiple kids (all Puppet Monster parts are machine washable, so no worries about sharing them)! Thinking that all of these little pieces might get lost in your house? 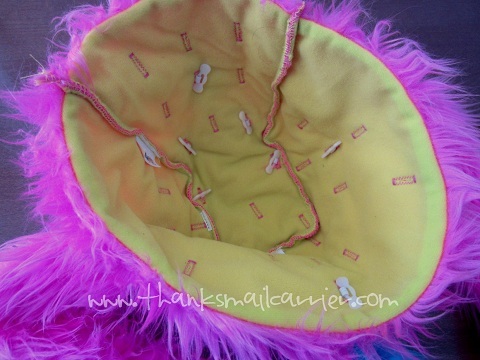 Each Puppet Monster comes with its own convenient soft-sided storage bag, so when the wacky fun has ended for the day, they can all store right inside for next time. Retailing for $19.95 each (plus $6.95 shipping and handling), all of the cute Puppet Monsters are available at BuyPuppetMonsters.com today. Plus, right now when you order you'll receive your choice of Accessory Kit by only paying an additional $6.95 processing and handling fee. But why not take advantage of a discount? Enter the promo code PUPPET at checkout and you'll receive an additional $5 off of your Puppet Monster order! When it comes to entertainment and creativity, these Puppet Monsters and Accessory Kits are fun for all ages and, due to the 60-day money-back guarantee on each one, you know that you can depend on them for quality and value. One lucky person will win their choice of Puppet Monster! A big thank you to Puppet Monsters for providing a Puppet Monster for me to review as well as for one lucky giveaway winner. The opinions shared are my own and honest and if you really need to see more, click here to see how I roll. I would like Jumbo Eyes. I like Twinkley Eyes if I win. I'd like Silly Dragon with the Funky Mohawk accessories. Twinkley Eyes is so adorable! My daughter would love Dizzy Antlers! I love Big Eyes, haha! I love Dizzy Antlers! They are all cute! My daughter likes the Dizzy Antlers. I like Mr. Mustache ! I like the blue Jumbo eyes. I'd like to win Jumbo Eyes. I would like to win Big Beak. I'd love to win Jumbo Eyes for my son! Wow - just one - I'm torn between Twinkley Eyes and Big Beak!! Mr. Mustache is too cute! I think I would go with Jumbo Eyes. That's a cute one with the big eyes! I would like to win the silly dragon. This would be great with the grandkids. I love Dizzy Antlers! Thanks for hosting! Big Beak is my favorite! My daughter would love the twinkley eyes. I would love to win the Silly Dragon for my grandson! I would like mr mustache!